Since Complex Tariff v1.1.0, asset owners are now able to specify minimum and maximum length of stay per day in their complex tariff settings. 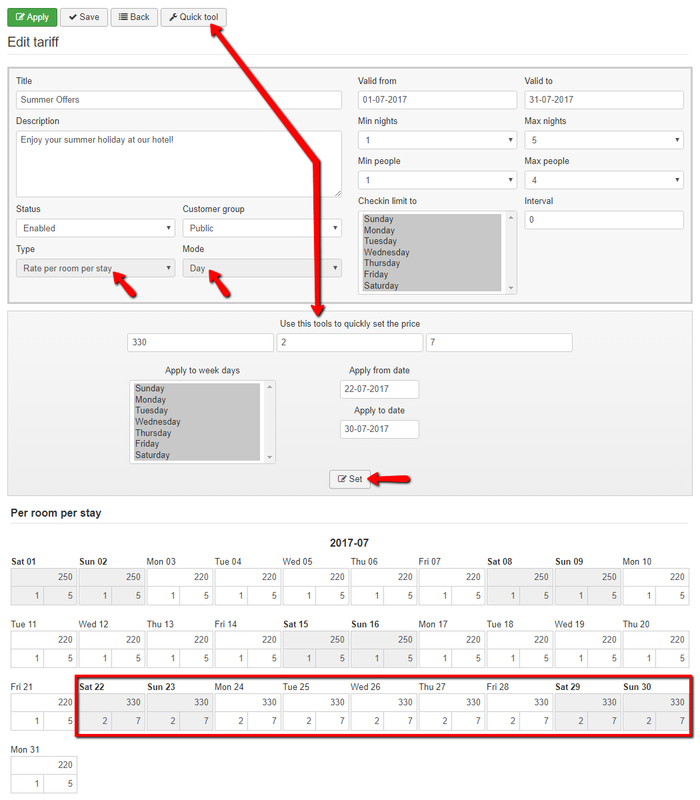 Setting length of stay requirement per day is more flexible than per tariff, in the current version you can set it for type “Rate per room per day” and mod “Day”. Since Experience v0.7.0 release, we added a new feature to show associated accommodations for an experience (tour & activity). 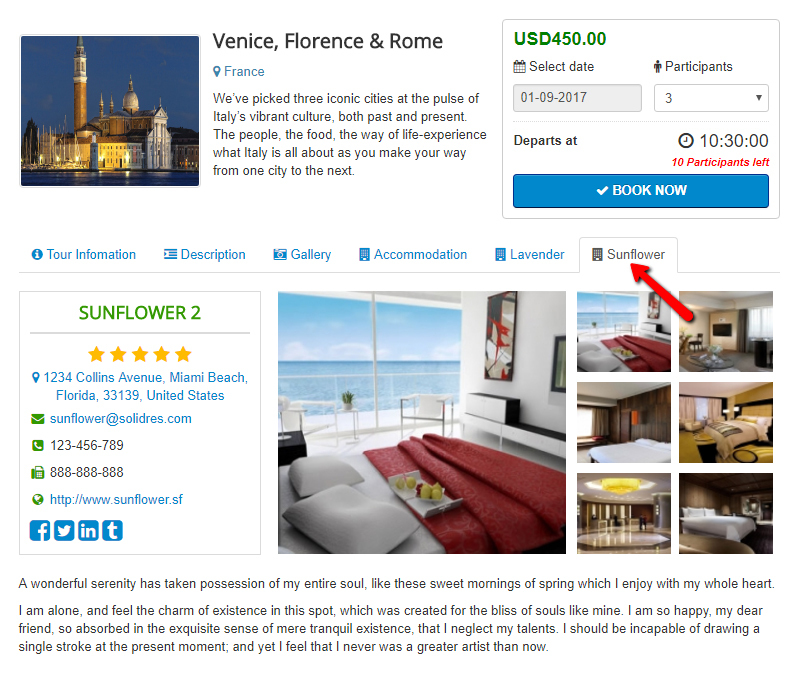 You can edit your experience item, in tab Publishing select accommodations that are associated with your experience items, then in front end of your experience item, each accommodation will be displayed as a separated tab which shows some basic information about the accommodation. Now it’s time to turn your Joomla dashboard with full of default and boring stuffs into something that is useful and tailored for your business. 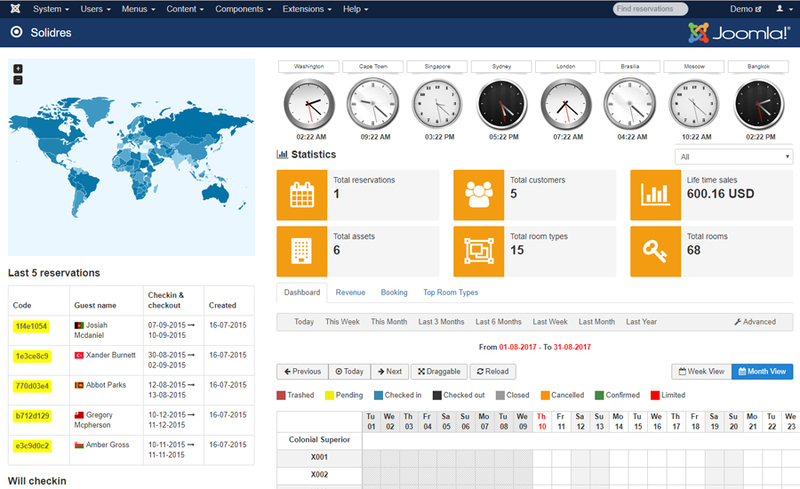 With a combination of our Statistics plugin + Quick Search module + Clocks module, you can configure a professional dashboard like above screenshot. All latest versions of our template quickstart packages are also configured with new dashboard layout and you can start using it without having to configure anything.